Florida is famous for its oranges, and some of the best oranges come from Lakeland in Polk County, Florida. Situated in the center of a triangle bounded by Walt Disney World, Cypress Gardens and Busch Gardens, Lakeland is also a hotbed for the growth of exceptional entertainers and musicians. Let us introduce you to ORANGEMAN. 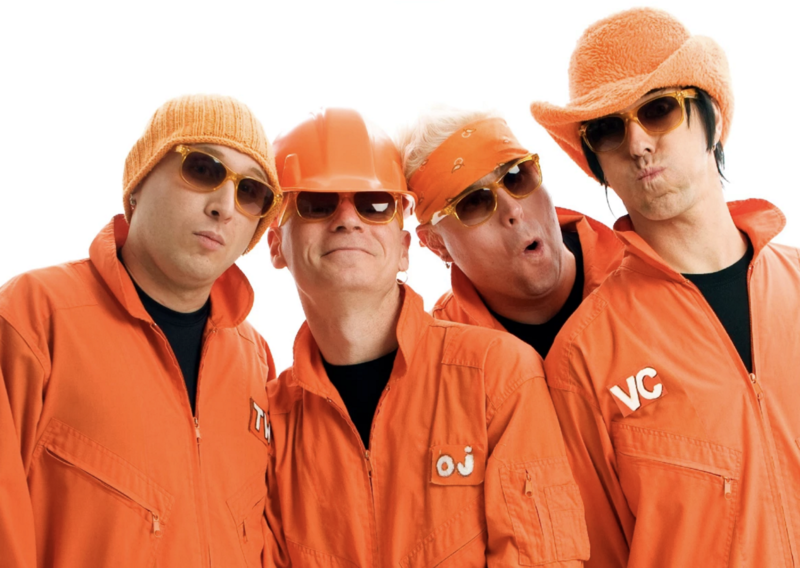 This is a band that is all about orange. From its four members Squeeze, OJ, Vitamin C and Twist, to its clothing and stage, it’s all orange, orange, orange! ORANGEMAN brings a dose of Florida sunshine and spirit wherever they go. Putting on a non-stop show featuring top party songs from every era, ORANGEMAN’s music is played to perfection. Their strong vocals are only matched by their fun and outgoing personalities. Put on your best beach gear and sandals. Get out your straw hat and shades cause the sun will be shining when ORANGEMAN comes to town. Orangeman have been a fixture on the Greater Toronto and Southern Ontario club circuit since their inception in Sept. 2003. Putting on a non-stop show featuring top party songs from every era, Orangeman‘s music is played to perfection. Their strong vocals are matched only by their fun, colourful and outgoing personalities. Featuring four lead vocalists, Vitamin C, OJ, Twist and drummer Squeeze, Orangeman bring the party each and every night. From clubs to concerts to corporate events to private parties, Orangeman provide each event with a unique and fun ‘twist’.